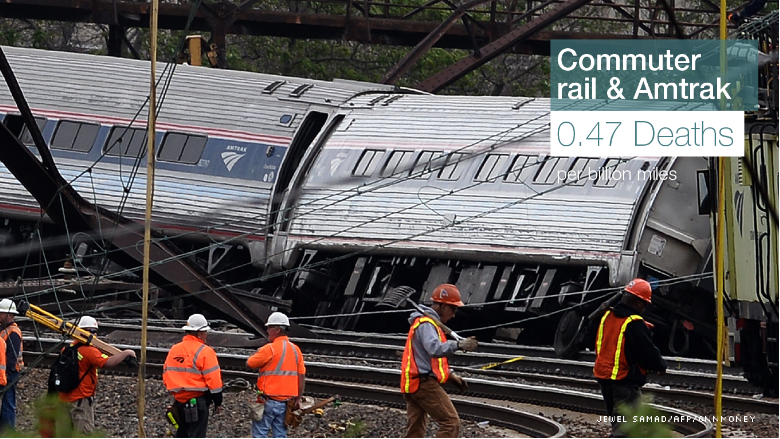 Tuesday's Amtrak crash raises concerns about transportation safety. The figures are for U.S travel only using data for the most recent five-year period that's available. 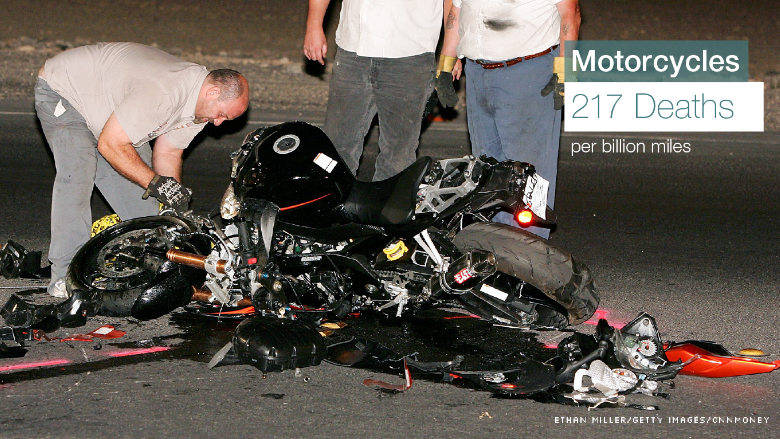 Motorcycles: Motorcycles are far more dangerous than most forms of transportation, but what's surprising is just how much more dangerous they are. 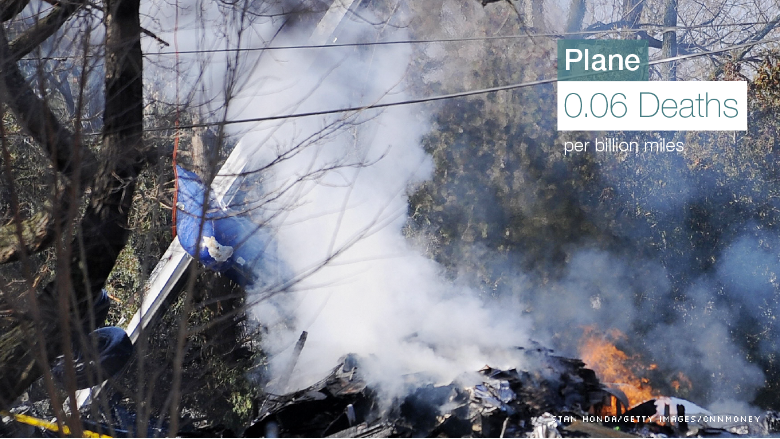 There were 23,000 people killed by them over a five year period, making them by far a traveler's most dangerous option. 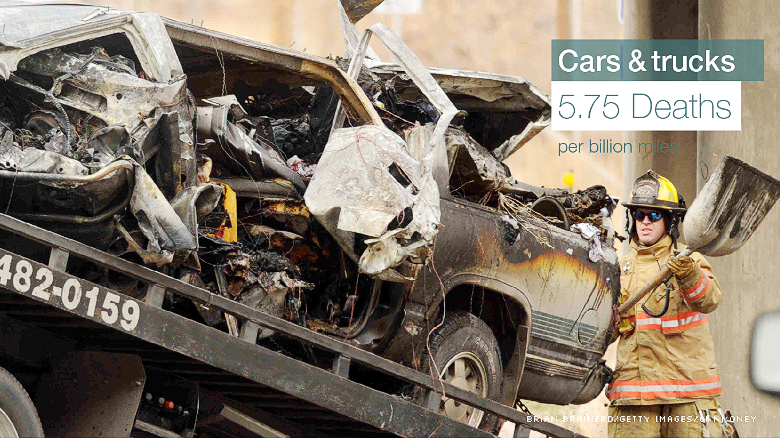 Cars & trucks: More than 113,000 people were killed riding in cars or trucks in the five years ending in 2013, which is a much higher absolute number than any other form of transportation. But that's because people most often travel in cars and trucks. 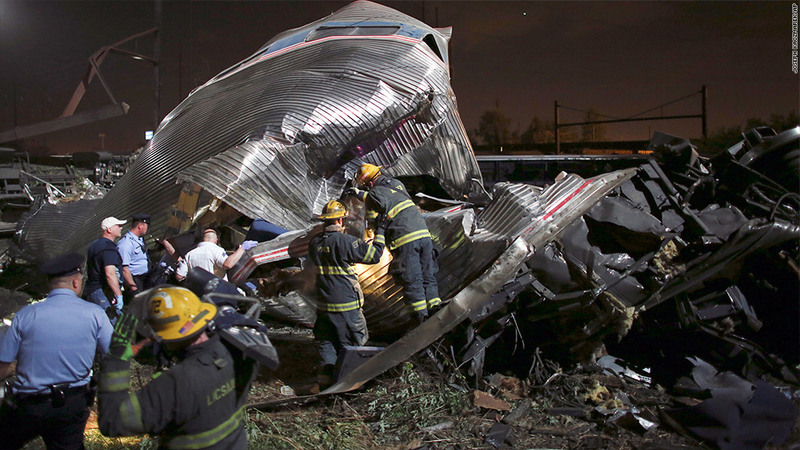 But since then there have been a number of major accidents, including two commuter rail accidents in the New York area last fall and earlier this year, as well as Tuesday's Amtrak crash. 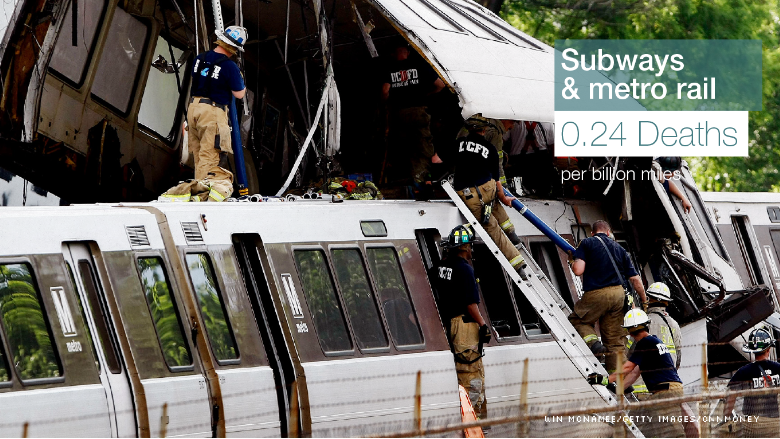 The last major accident involved the Washington DC Red Line, which had an accident in 2009 that killed the train's operator and eight passengers. 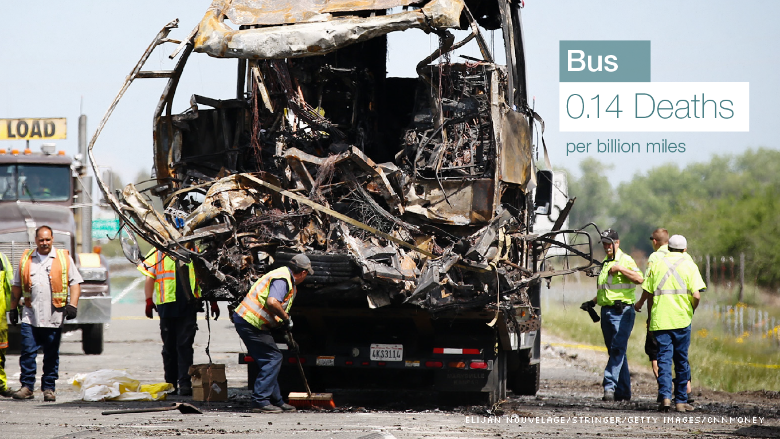 Buses: They're one of the safest forms of travel around. School buses, which generally drive slowly on local streets and are painted a bright yellow to alert other drivers, are a a big reason for that. City buses also provide very safe transportation.